Corey Clifton, the younger brother of graduating seniors Connor and Tim Clifton has officially signed his national letter of intent to play hockey for the Quinnipiac University Bobcats. The 1999 forward had verbally committed to Quinnipiac on April 22, 2016. Clifton split his season playing for the North Jersey Avalanche 18 under team that made it all the way to USA nationals. In 48 games split between Tier I and the AYHL, Clifton had 35 points (14 goals, 21 assists). He added 3 points (2 goals, 1 assist) in 6 combined playoff games between both leagues. In 3 combined games at USA nationals, Clifton had a goal and 2 assists but North Jersey did not advance out of pool play. He was a teammate of fellow Quinnipiac commit in goaltender Justin Robbins. As a senior at Christian Brothers Academy High School in New Jersey, Clifton had 23 points (13 goals, 10 assists) in games played as he helped lead the team to the state semifinals. Clifton is expected to play at least one senior, possibly two of junior hockey before enrolling at Quinnipiac. It is not known at this point where he will play for junior hockey next season. 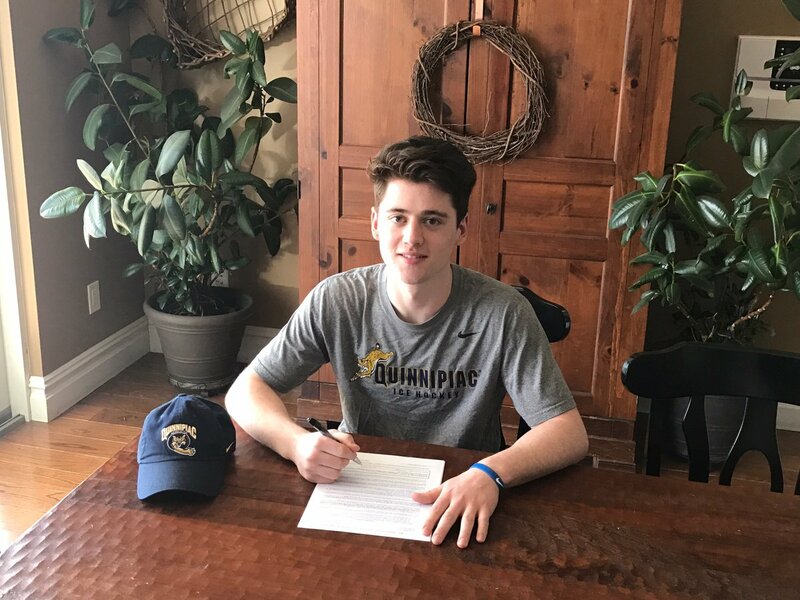 Congratulations to Corey and his family on his signing with Quinnipiac.